Our week #3 youth Wrestlers of the Week (WOTW) are Huck Klindworth, Evan Blanck, and Jesse Chapman. Huck is in PreK and son of Alex and Amber Klindworth. Evan is in 1st grade, son of Brian and Carrie Blanck. Jesse is in 6th grade, son of Rick Chapman and Jenny Chapman. In the classroom, Owen Mehrkens and Colton Stevenson were both given the PAW award at school. (Practicing kindness, Acting with respect, Working to do your best.) Jason Frohlich earned the honor of Student of the Month. Congratulations to all! You can pick up your clothing order Monday at 9:30 during youth open mat. Bring the Plainview registration form with you to open mat on Monday if you haven’t done so already. 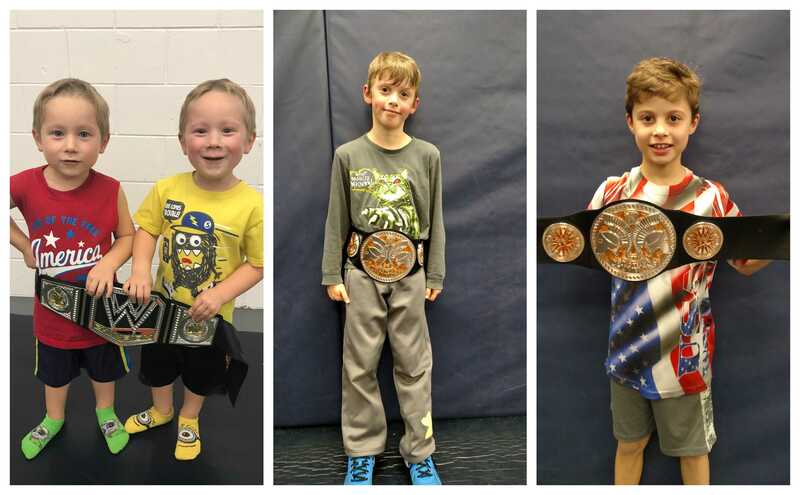 Our week #2 youth Wrestlers of the Week (WOTW) are Brody Schulz, Cooper Rasmussen, and Leo Beyer. Brody is in PreK and son of Bo and Shelly Schulz. Cooper is in 3rd grade, son of Quinn and Amber. Leo is in 4th grade, son of Seth and Tracey. Landon Robertson, 1st grader and son of Jeff and Melissa, was also named November Student of the Month. Congrats boys and keep up the good work on that mat and in the classroom! A reminder to sign up your wrestler at practice on Monday for the scrimmage against KW in Kenyon Thursday night. A second reminder to please bring this registration form to practice Monday for the Plainview tournament if your wrestler would like to attend on Saturday, December 29th. Youth t-shirts and singlets are in! PreK thru 3rd grade can pick them up after practice on Monday and 4th-6th should pick them up from Lacey before practice. The warm-ups are not ready yet. Our week #1 youth Wrestlers of the Week (WOTW) are Luke and Logan Trickey, Benjamin Hauser, and Samuel Moore. Luke and Logan are in PreK and sons of Marcy Vreeman. Benjamin is in 3rd grade, son of Joel and Heather. Samuel is in 4th grade, son of Scott and Brenda. Rylan Brown also made the News-Record this week for his work inside the classroom receiving the PAW Award. Congrats to all wrestlers! A look ahead: the youth are scheduled to scrimmage in Kenyon on Thursday, December 20. We’ll also be taking a bus to the Plainview wrestling tournament on Saturday, December 29th. More information and how to sign-up for these events will be made available soon. The youth wrestling season officially kicks off tomorrow night! 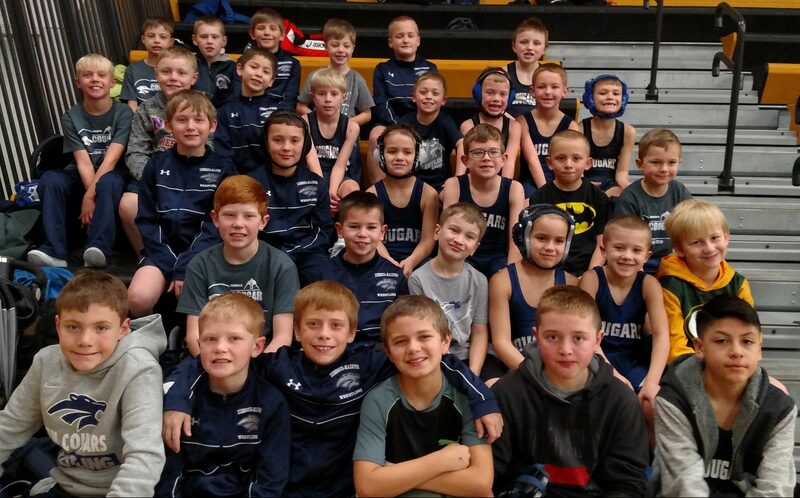 Grades PreK and K start at 5:45 PM in the old wrestling room in Mazeppa. Grades 1st through 3rd at 5:45 PM in the new wrestling room, followed by grades 4th through 6th at 6:45 PM. A reminder that their fingernails should be trimmed and to carry in the shoes they will wear during practice. Please wear shorts and t-shirts without buttons or zippers. We welcome parent help during practices. Not registered yet or want more information? E-mail youthcoordinator@zmwrestling.com. 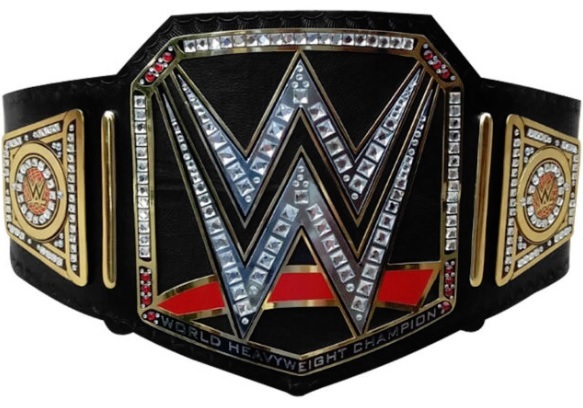 A remind er if your child earns Wrestler of the Week to please return the belt the following week so we can recognize the next winner. The varsity kicked off their season Thursday with a win over Triton and Saturday winning the Glencoe-Silver Lake/Lester Prairie Don Hall Invite. Michael Majerus and Jacob Bennett were both crowned champions. Full tournament results are available here.